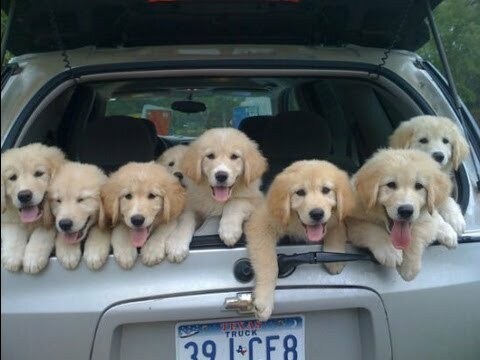 After everything that's happened in the last week, we all deserve a picture of cute puppies. But it’s happened. The question now is, how will the election of Donald Trump change international relations? That question itself is overwhelming on multiple levels. There are Trump’s personal international business ties, unparalleled in modern American political history. There’s his wariness of multilateralism and diplomacy. There’s his stated intention to go after China. There’s Trump’s lack of experience in international relations, which suggests that his advisers are likely to be even more important (and the names of people being bandied about for top positions at State and Defense suggest a decisive break from the Obama administration’s policies). There’s also a question of whether Trump fundamentally sees the world in zero-sum terms. Whoever won the election was going to face some immediate pressing crises, but Trump’s election complicates these situations. Rather than focusing on Trump’s approach to foreign policy in general (people much smarter than me have offered their take on this), I want to look at what Trump’s presidency might mean for global health (both NPR and Laurie Garrett have also wondered what Trump means for global health). This is not an issue that Trump spent much time discussing during his campaign, but it’s a useful lens for thinking about Trump’s foreign policy for three reasons. First, global health is profoundly multilateral, and the United States plays a significant role in many of these organizations. Stopping the spread of Ebola, providing access to vaccinations, and working to eradicate diseases like Guinea worm and polio require countries to work with one another and with nongovernmental organizations and private actors. At a time when the legitimacy of groups like the World Health Organization is being questioned, the US’ willingness to engage with global health governance could have profound effects. Second, the US is the largest funder of global health programs in the world. The Institute for Health Metrics and Evaluation in Seattle estimates that total development assistance for health reached $36.37 billion in 2015. Of this amount, the United States provided $13.13 billion—roughly one-third of the total. Much of this has focused on HIV/AIDS through the President’s Emergency Plan for AIDS Relief (PEPFAR), but it also works on programs like the Global Health Security Agenda and initiatives that link climate change and health. While private actors are playing a larger role in global health (and generates controversy and disagreement among analysts), they can’t replace the US’ global health funding even if they wanted to. Third, global health has both humanitarian and security logics. From a humanitarian perspective, the US contributes to global health programs because it has an obligation to assist others to help people live fulfilling lives. It is an issue of moral leadership. From a security perspective, the US wants to stop the spread of diseases to prevent destabilization or a fear that those diseases could reach America’s shores. Which logic becomes more prominent can tell us much about the general way in which the Trump Administration will view the rest of the world. On HIV/AIDS, Trump appears to be committed to PEPFAR. When asked in October 2015 if he supported doubling the number of people on antiretroviral treatment to 30 million by 2020, he seemed to suggest both his support for it and the need for the US to take the lead on these issues. Like many of his statements, though, it was rather rambling and did not necessarily make a specific commitment. This could be a space for continued US leadership in global health, but it is worth noting his more general antipathy toward foreign aid. It’s worth noting that Trump slammed Martin Shkreli last year. Shkreli, you’ll remember, was the CEO of Turing Pharmaceuticals. Turing got the rights to Daraprim, a drug used to treat toxoplasmosis among HIV-positive persons, and raised the drug’s price from $13.50 per pill to $750 per pill. Shkreli was later arrested for securities fraud and, more recently, streamed the only copy of Wu-Tang Clan’s Once Upon a Time in Shaolin (an action that may violate the purchasing agreement). Trump called Shkreli “a spoiled brat” for “rais[ing] the price to a level that’s absolutely ridiculous.” This doesn’t make Trump a champion for drug access, and he has not offered plans to rein in drug prices, though. Trump also seemingly sees global health through a security lens. In 2014, Trump tweeted that Ebola patients should not be brought to the US for treatment. In fact, he went so far as to say that Americans who got sick with Ebola while working in West Africa “must suffer the consequences.” He also emphasized that that US must “stop all flights from EBOLA infected countries or the plague will start and spread inside our ‘borders’.” Leaving aside the fact that there were no direct flights from Ebola-infected countries to the US, Trump’s rhetoric suggests that he views global health as an “us-v-them” issue. Like I discussed a few weeks ago, this framework sees infected persons as an enemy to be contained and avoided rather than as people who need treatment. Zika could pose an interesting test for how Trump views the federal government’s response to infectious disease outbreaks. Speaking with the Miami Herald in August, Trump said that Congress should approve funding to combat Zika. In an interview with ABC News, though, he said that Florida Governor Rick Scott had the situation “under control.” The lack of a clear answer seems par for the course with the incoming administration.